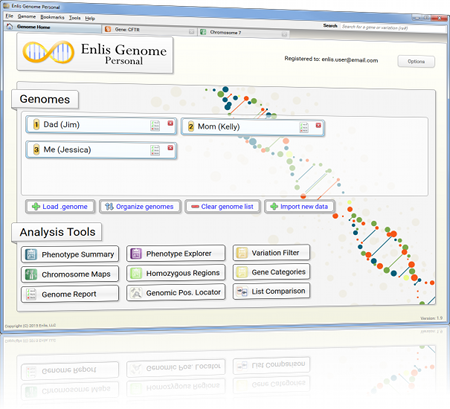 Personal software for individuals and families that want to learn about their genomes. 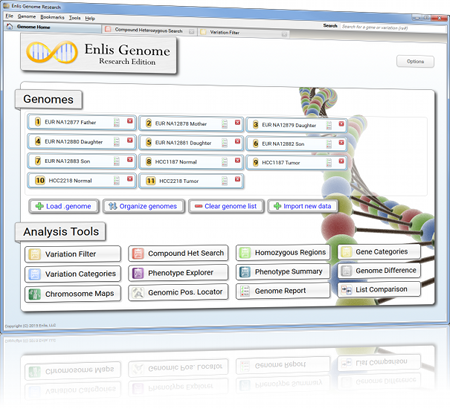 Professional software for academic, medical, or industry researchers. 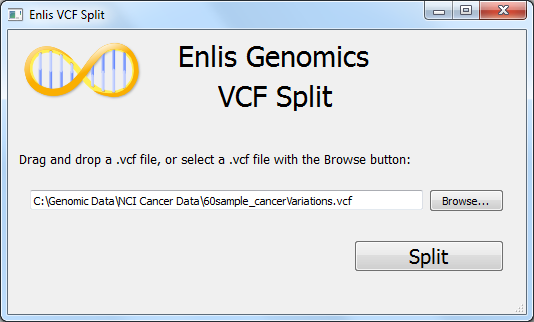 This software has more advanced filtering and additional tools which are useful for studying rare disease, tumor/normal pairs, patient cohorts, cell lines, and more. The software is supplied “as is” and all use is at your own risk. Enlis, LLC disclaims all warranties of any kind, either express or implied, as to the software, including, but not limited to, implied warranties of fitness for a particular purpose, merchantability or non-infringement of proprietary rights. Neither this agreement nor any documentation furnished under it is intended to express or imply any warranty that the operation of the software will be uninterrupted, timely, or error-free. Under no circumstances shall Enlis, LLC be liable to any user for direct, indirect, incidental, consequential, special, or exemplary damages, arising from or relating to this agreement, the software, or user's use or misuse of the software.